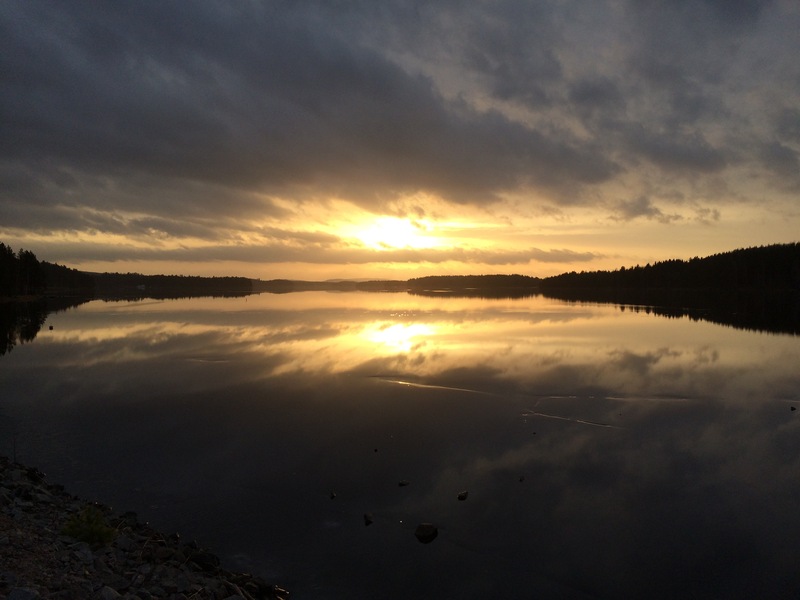 Christmas in Sweden is a special time. For me, it’s special because I’m an immigrant so seeing all the traditions is unique and interesting. This is my adopted home – it’s where I have left everything to move and start my new life four years ago. This year we are spending Christmas with my family in the USA, so we had a small family Christmas at our house with my wife’s family. 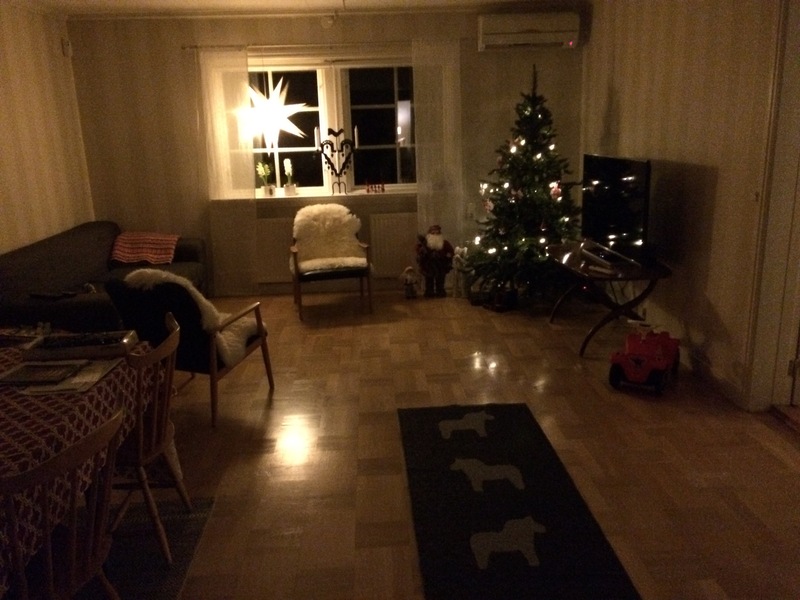 Our “fritidshuset” (free time house) is a little small, but it feels cozy to have everyone over during the holidays. 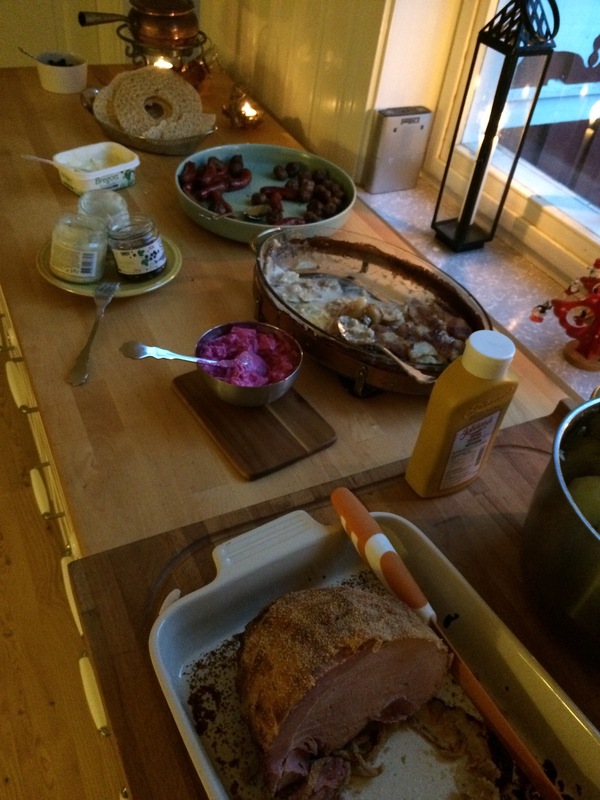 We had the traditional “julbord” (literally “Christmas table”), it’s the food that is served at Christmas, Easter, and midsummer. This consists of pickled herring, meatballs, potatoes, hard bread, and a few other great things – Christmas only things would be glögg and julskinka (Christmas ham, which is seasoned with mustard). I love this food and find it instantly in the “comfort food” category in my heart. If you combine this with the beautiful day (although unseasonably warm), and the wonderful family we had to celebrate with us, you have a really amazing Christmas celebration that I will remember for a long time. First Christmas at this house, first Christmas with the little guy running around, and so on. How can you not burn this into your memory?